Maryland is one of a few states to have multiple legal names for the crimes of drunk driving, or drugged driving. Many states simply use the legal name driving under the influence or DUI, but Maryland also incorporates the legal term driving while intoxicated or DWI in its laws. In some cases the punishments for these two crimes can be the same, and in other cases the penalties may differ. The biggest difference is that DUI only deals with alcohol. On the other hand, this crime can be charged if a defendant is suspected of driving while using alcohol or drugs. This section will just focus on DWI alcohol criminal cases, and not specific information on crimes involving driving while intoxicated by drugs such as marijuana and prescription pills. For more detailed information about your specific case contact a Maryland criminal lawyer for a free consultation. 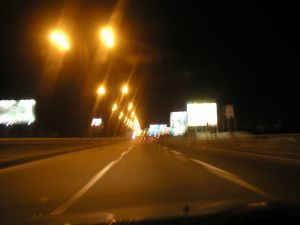 DWI is one of the most common arrestable offenses for a variety of reasons. Over the last 20 years there has been increased pressure from the federal government, as well as from private lobby groups such as MADD and SADD to combat the presence of these cases Maryland and in all states. These lobby groups have spent millions of dollars educating the public and the police about how to crack down, and one way to satisfy the lobby groups is to arrest more people. The federal government has also contributed millions to DWI education but it's greatest influence on the crime was the establishment of standard blood alcohol limits. The legal drinking limit of .08 is a level that was indirectly set by the federal government. Under the constitution, the federal government may not directly require a state to abide by a specific legal blood alcohol limit for drunk driving cases, but the feds may withhold certain types of funding if the states choose to ignore a legal blood alcohol limit. To avoid losing federal government funding Maryland enforces the standard .08 legal blood alcohol limit, but also takes it one step further with the .07 legal limit for DWI alcohol cases. A driver may be charged with DWI if his or her blood alcohol level is above .07 but less than .08. Therefore, when it comes to blood alcohol levels while driving Maryland is one of the stricter states in the country. On the other hand, our state penalties are about average in terms of maximum punishments. A defendant charged with this crime faces a maximum jail sentence of 2 months, and a $500 fine. The maximum jail sentences and fines can increase if a minor is present in the car at the time the defendant was driving, or if the defendant has prior convictions. Prosecutors may use convictions from another state to seek enhanced punishments in Maryland cases. This charge typically involves drug use, but can involve alcohol when a defendant chooses to submit to a breathalyzer test. In rare cases, a defendant may be charged with DWI if he or she is involved in an auto accident with serious injury or death and a blood test reveals a blood alcohol level between .07 and .08, but the person is not charged vehicular homicide. If you or someone you know has been arrested for drunk driving, contact The Herbst Firm for a free consultation.